Includes essential fatty acids, necessary to smooth, repair and help heal skin. 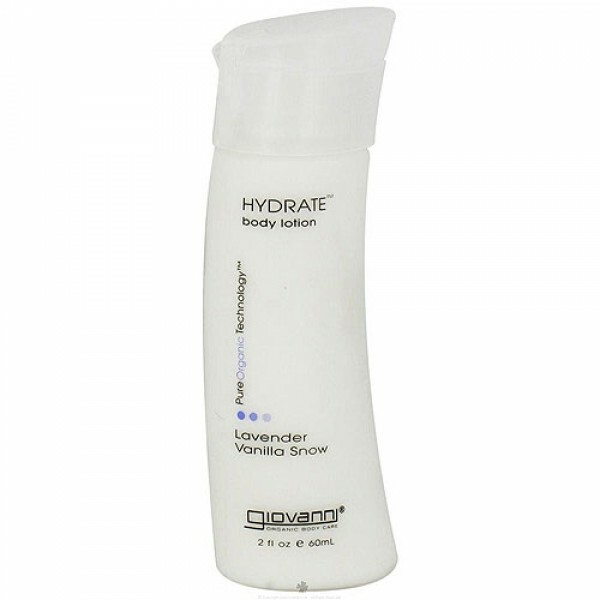 Hydrate illuminating body lotion has a richly organic lavender vanilla fragrance and contains uniquely soothing ingredients that smooth across skin to infuse needed moisture and hydration. The formula is rich in nutrients and also contains the exclusive Giovanni PureOrganic Technology blend, an advanced essential oil complex to soothe, smooth and regerate skin's lost moisture. Your body is suddenly lost in imagination as you experience true beauty. Feel. Extravagant. Includes essential fatty acids, necessary to smooth, repair and help heal skin. Each Giovanni Organic Body Care formula contains a blend of exotic organic oils, ripe-harvested from renewable plants at the peak of their freshness. The oils are cold pressed and refrigerated immediately to ensure maximum purity. For smooth, soothed gorgeous skin. Certified Organic Lavendula Angustifolia (Lavender), Echinacea Angustifolia (Coneflower) Ginko Biloba (Ginko Biloba), Rose-Sinensis (Hibiscus), Olea Europaea (Olive Leaf), Camellia Sinensis (Green Tea) And Vanilla Planifolia (Vanilla) Extracts (Aqueous), Stearic Acid, Vegetable Glycerin, Cetyl Alcohol, Isopropyl Myristate, Aloe Barbodensis (Aloe Vera) Pronus Amygdalus Dulcis (Sweet Almond) Oil, Carthamus Tinctorius (Salflower) Simmondsia Chinensis (Jojoba) Seed Oil, Tocopheryl Acetate (Vitamin E) Dimethicone, Polysorbate 60, Carbomer, Hydroxymethylglycinate, Essential Oil Fragrance. 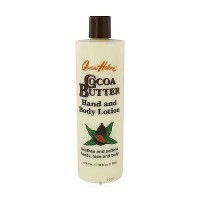 Rub across body to smooth and hydrate. Use after bath or shower or anytime to feel soft. Your Skin feels moisturized, rich and renewed.